Categorised as a budget for 'hard working families with the headline statement of ‘austerity finally coming to an end’, the last budget before Brexit took place today. Taking place so close to Halloween, was it trick or treat for the automotive industry? The Fund will provide long-term certainty for roads investment, including the new major roads network and large local major roads schemes, such as the North Devon Link Road. 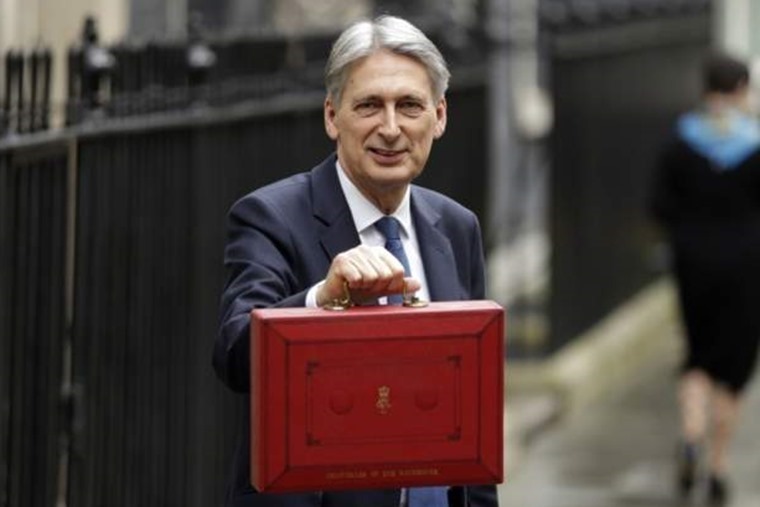 With autumn and winter encroaching, Hammond announced that £420m would be made available immediately to local highway authorities to tackle potholes, bridge repairs and other road works in this financial year. Look forward to some road works coming to a busy highway near you soon! The government will also make £150 million of NPIF funding available to local authorities for small improvement projects such as roundabouts. How will all this be funded? The bulk of funding for these wholesale road upgrades will come from Vehicle Excise Duty over the 2020-2025 period. By allocating all VED paid in this five-year period to Highways England, the Chancellor is boosting the government-owned company’s budget by a massive 40%. Ahead of the budget, it was revealed that fuel duty will remain frozen for an unprecedented ninth year. To put that into monetary perspective the fuel duty freeze has saved the typical driver around £160 per year. While it has remained at the same level since March 2011, it still stands at a hefty 57.95p per litre, which is the highest fuel duty in the European Union, so motorists are certainly feeling the pinch. The government announced Enhanced Capital Allowances (ECA) for companies investing in electric vehicle charge points will be extended to 31 March 2023. It is hoped this will help achieve the government’s ambition for the UK to become a world-leader in the ultra-low emission vehicle market. Outside of this, the Chancellor remained quiet about the issue of EV infrastructure and incentives during the budget, even as the Business, Energy and Industrial Strategy (BEIS) Select Committee requested a national roll-out of electric charging points across the UK to increase uptake. Prior to the budget, the government announced it would be scrapping grants for PHEVs and reducing them for EVs, with a new system to be introduced from 12 November. This meant PHEVs would no longer be eligible for a grant of £2,500 while the grant for EVs would be reduced from £4,500 to £3,500. These were filled in record time, and it is estimated 1,000 PHEVs and EVs were sold each day since the cut was announced on 12 October, compared with around 329 per day in 2017. As the sales cap for all vehicles eligible for the grant was reached the new grant rates are now in effect. The Budget included a proposal to review the impact newly introduced WLTP rules will have on VED, and has made plans to remedy any potential tax distortion caused by the transition from the previous NEDC emissions test. The Chancellor confirmed there would be an update in the 2019 Spring Statement. It was also confirmed that this uncertainty around WLTP means the government has put off any decision to introduce emissions-based VED for vans before April 2021. Mike Hawes, SMMT Chief Executive said: “There are some welcome announcements in the Budget [but] amid continuing Brexit uncertainty, the automotive industry was looking for a stimulus to boost a flagging new car market. We wanted to see more incentives for consumers to purchase the latest, most environmentally friendly vehicles. Commenting on the review into WLTP-related tax worries, BVRLA chief executive Gerry Keaney said: “It is great to hear that the Treasury is making plans to remedy any potential tax distortion caused by the transition to the new WLTP emissions standard in April 2020. Responding to proposals to invest more funds into the UK’s road network, Matthew Fell, CBI chief UK policy director, said: “A well-functioning road network is the lifeblood of day-to-day business and the UK has much work to do on this front.